Wigmore CC club runs are on Sunday mornings throughout the whole year. The club traditionally meets at the bus stop opposite the Manor Farm on the A2 at the bottom of Maidstone Road in Rainham. Rides leave as soon after 09:00 as possible, so please aim to arrive there in good time. If riding over allow some time for a puncture, if driving over be aware parking is limited in the surrounding residential streets. Club runs are the most ideal way to get into cycling, and gain some fitness as well as learning about the techniques and skills involved in the sport from more experienced riders. Some of Wigmore CCs members have raced up to international level, so there is a lot of knowledge to share! Club runs are non-competitive group rides, normally routes are rural, and will stop at a cafe for tea and cake before riding back. They have a very social theme and are a great way to learn about the sport and meet new friends. The aim is to ride as a collective group, not race everybody to prove who’s best. The club promotes a series of Time Trials and there is a thriving local road racing scene, so if you want to compete, wait until you’ve got a number on your back and do it properly. Club riders will use certain shouts to keep the group safe. Shouts need to be followed for the benefit of the group and other road users. You will hear the following on club runs. “Car up / Oil Up” This means a car is behind the group. “Car down / Oil Down” This means a car is oncoming towards the group. “Easy / Slowing” The group needs to come to a stop / slow for a junction. “On the left / Right” A hazard is at the side of the road. “Clear” A junction is clear for the group to ride through. “Hole” A pothole is in the road. “Puncture” A rider has a flat tyre and needs to stop to repair. “Single out” Group needs to ride in single file for a car to pass. Hand signals are also used, so look out for points towards the ground which signal a pothole or hazard in the road. A point of the hand behind the rider backside signals a hazard at the side of the road (usually a parked car). Club rides are in pairs, so the group forms a compact shape. Riders should aim to ride close to the rider in front to keep within slipstream and save energy. No more than one bike length, no less than a few inches will keep the group together. If a car needs to pass the group will usually go into single file. Usually the inside rider maintains pace, while the outside rider slots in behind their pair partner. Once cars have passed safely, the group can reform into pairs. Club runs are aimed at the pace of the slowest rider, with the emphasis on not leaving anyone behind. However, new riders should be aware that rides are sometimes three to four hours in duration, and can be at around 16mph. Riders should be able to ride comfortably for at least two hours at approx 15mph before trying a group ride. The group may fragment on the hills, but the first rider to the top should wait and allow the group to reform before setting off to make sure all riders are ok. Faster riders may ride harder on hills, or even take a town sign sprint, but the priority is on reforming the group, not splitting it up and turning it into a race effort. Do not attack past the group leader, as this splits the group, and riders may become detached and get lost. All riders should be self-sufficient on club rides. This means bringing a number of spares and knowing how to use them. As a minimum riders should have a pump, a spare inner tube, a multi tool and some patches as well as being able to change an inner tube. Other ideal accessories are a rain cape, mudguards for winter rides. All riders should bring ID in the case of an accident. Mobile phones are also useful. Riders should bring at least one full drinks bottle and a snack with them to eat during longer rides, and some money for cafe stops. Riders are welcome on club rides from age 12 upwards. 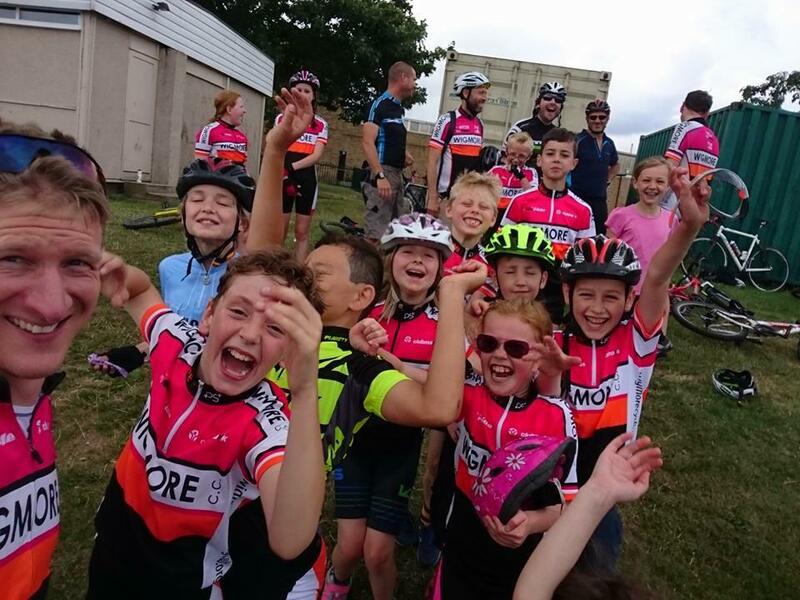 For riders 12-16 we ask that the rider attends at least a month of coaching at the Go-Ride sessions before coming on a club run at the club coaches’ discretion. Those riders will also need parental consent before being allowed on club runs. Clothing should be suitable for the weather conditions. It is always advisable to bring a rain cape, and add layers to keep warm. Club members should always wear club kit to promote the clubs image and profile, and while wearing it should always be polite and friendly towards others.